Providing collaborative environments for Residential Learning Communities and student clubs or interest groups. Delivering training courses for faculty, staff, and students to ensure compliance with policies and regulations addressing safety, privacy, or any number of subjects. Creating work spaces and tools for faculty wishing to collaborate with colleagues who are otherwise not affiliated with UVM. Organizations use different nomenclature in some ways (i.e instructors are listed as “Leaders”, and students are labeled as “Participants”), but otherwise are functionally equivalent to courses. Organizations are created individually by an administrator (who is assigned by the college) instead of being created and populated by the registrar. Colleges wishing to create these organization spaces will need to identify someone who will be responsible for creating and managing organizations in Bb for the college. An email from the Dean’s or Director’s office to blackboard@uvm.edu indicating the primary administrator will be enough to get started. Once we have that information, we will create the administrative space for this person, and work with them to provide as much instruction, training, and support as is needed. 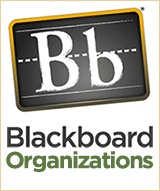 The administrator will be trained and supported by UVM’s Bb administrator. Training is not complex – at most a one-hour conversation is all that is needed. The percentage of FTE involved depends on how extensively the college makes use of the tools (i.e. how many organizations the college decides to create). Administrators will be required to follow protocols in terms of naming convention. Training and instruction is provided to identify these conventions. Tasks associated with this role require using a web interface to create organizational spaces. Participants normally self-enroll in these spaces, so enrollment management is minimal or non-existent. While these are not highly technical tasks, the person managing the organizations should be comfortable with computers and learning new applications. If you feel you have a use for a space like this, contact blackboard@uvm.edu explaining what you’d like to do, and we will direct you to the administrator for your college. If your college or unit is not using organizations, we can work with you and your Dean’s/Director’s office to identify possible next steps.